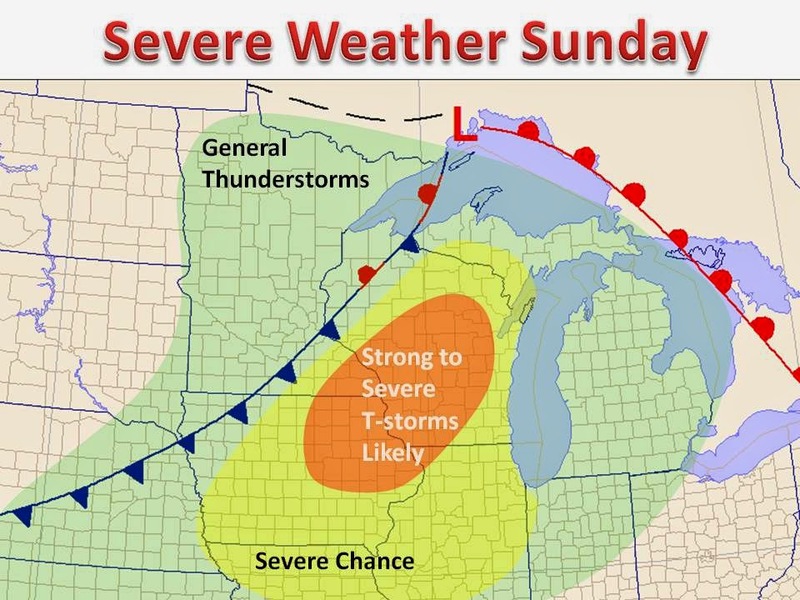 An area of low pressure will pass through the Northern Great Lakes on Sunday bringing the threat for severe weather across Iowa, Wisconsin and northern Illinois. Winds will shift into a more southerly direction on Sunday, this flow ushers in a much more humid and unstable atmosphere during the afternoon building a high CAPE values. With a cold front trigger and upper level shear the atmosphere will be primed in the yellow area and especially in the red shaded area on the map to the left. On the right is the NAM Hi-Res Simulated Radar off the 00z model run. 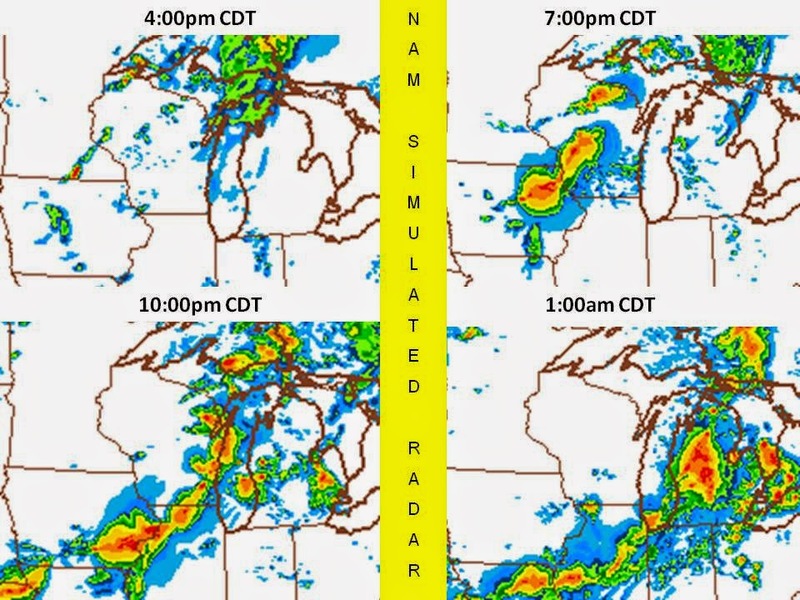 It shows a line of strong to severe thunderstorms developing in the Upper Mississippi River Valley during the late afternoon and passing through Wisconsin and Illinois in the evening hours. This is one solution, but this model has been fairly reliable in recent weeks. The 18z GFS run develops the heaviest thunderstorms around 8-10pm and puts the location of the cold front from Lake Superior to Central Iowa around 10pm Sunday. With this in mind, any storms to do form into an MCS or line should hold together into the early overnight hours as severe dynamics should still be in place, according to the GFS. The latest model run can be found in the "Computer models" tab at the top of this screen.